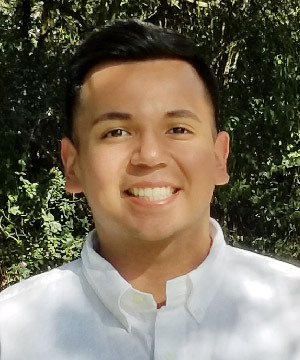 Luis Retta, Health Network Associate, first joined us as an intern while attending University of Texas, Austin. Mr. Retta comes from a small neighborhood in central Dallas known as Oak Cliff where he was born and raised. Despite his youth, Mr. Retta has a wealth of professional experience including at Parkland Hospital in Dallas, and as a student advisor on the Dallas Independent School District Board. Mr. Retta is the first in his family to attend college; to promote others to do the same, he has served as a youth mentor in his neighborhood, promoting college readiness and the pursuit of higher education. Mr. Retta is the son of immigrant parents from Mexico and his life view has been shaped by the understanding that his father’s sacrifice to leave his family behind was and still is to provide better opportunities for his own family. With this in mind, Mr. Retta’s goal was to help provide for his family and made higher education his main priority. Mr. Retta, who recently completed a degree in Human Development and Family Science while finishing prerequisites for medical school, continues to serve his community. He helped start a student organization to help students,especially underrepresented students, who are pursuing health professions better adjust and prepare for their years at the University. It is this same drive and passion to help the community that led Mr. Retta to work with Migrant Clinicians Network where he hopes to be a strong asset to the team and learn about future works he can apply later in his career.